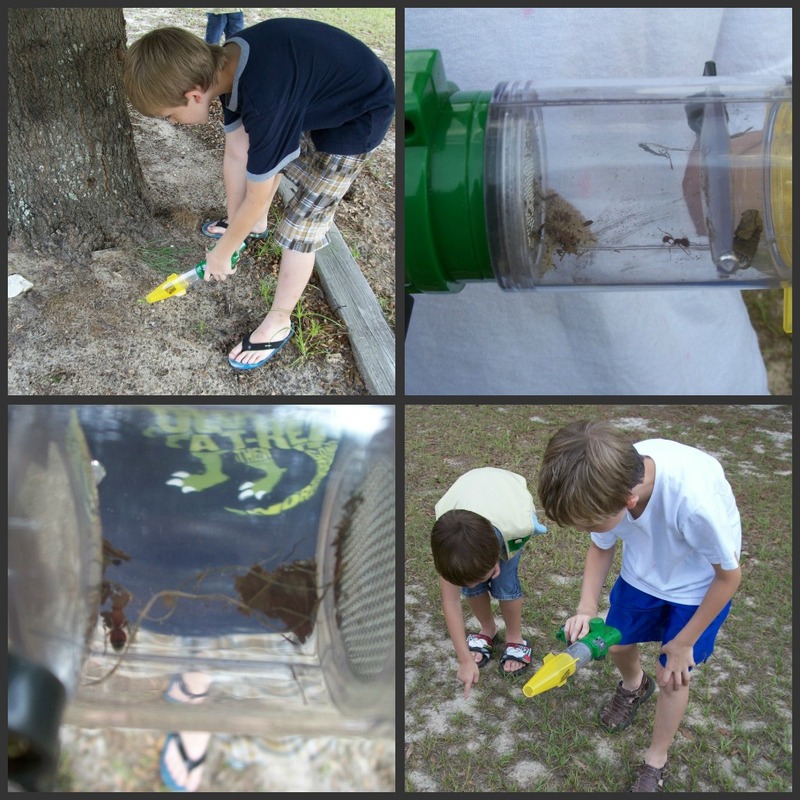 Boys like dirt and bugs and pretty much anything that involves running around outdoors, so it was no surprise that my boys were thrilled to have the chance to try out some of the best products from Backyard Safari Outfitters. 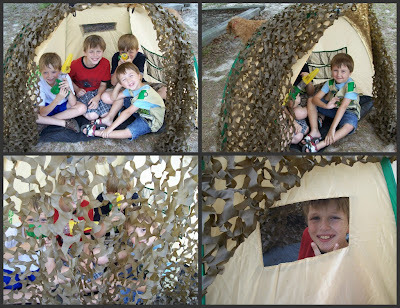 From the Base Camp Shelter to the new Lazer Light Bug Vacuum, the boys had a blast getting up close and personal with nature and using their imaginations to explore their own backyard. Backyard Safari Outfitters has everything you need to get you geared up for plenty of fun outdoor adventures! Our gear is rugged, fully functional and made for use in the field year-round. Whether your safari takes place in the park, at the campground, on the beach or even your own backyard, you’ll be geared up and ready for action! Safety is a primary focus at Backyard Safari. We are one of a select few companies that maintains a representative member on the Toy Industry Association’s Safety Standards & Technical Committee and we’re constantly striving to ensure that our products meet the highest levels of Toy Safety. We are proud of the fact that we have never had a product recall. 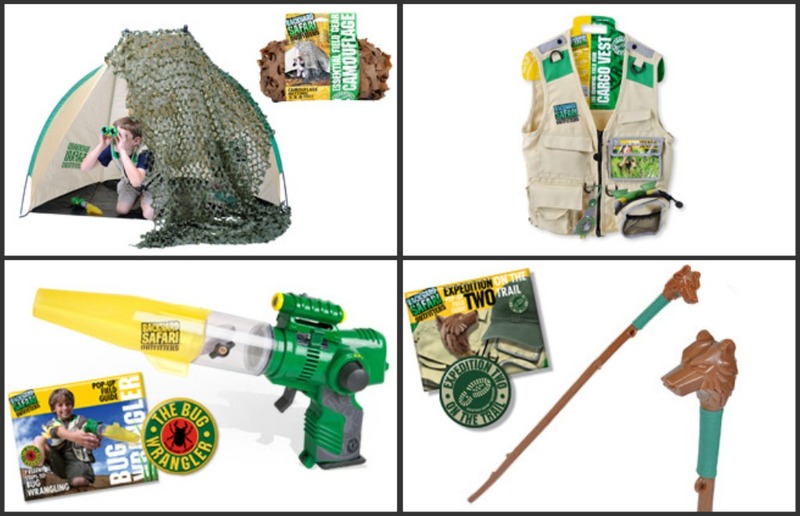 We were lucky enough to have the opportunity to try out a great variety of Backyard Safari Outfitters products. The items we received includes the Base Camp Shelter, Cargo Vest, Camouflage, Laser Light Bug Vacuum and the Expedition Two Hiking Stick. The boys quickly decided which item they wanted to claim as their own by drawing numbers out of a hat, but they all ended up sharing nicely in the end. The quality of the products. Everything was well made and nothing has yet to break. The prices. The prices of the various items are very reasonable. You can get the Base Camp Shelter for $39.99 for example, with an included lantern. That is a large play tent for less than a small box of Lego's or video game. The versatility of the toys. The boys could pretend they were in the middle of a jungle, a war, the dessert, the possibilities were virtually endless and it encourages them to use their imaginations and learn through outdoor play. The Patch Program. I love that there were adventures they could complete to earn a new patch and that each product came with its own unique patch that can be worn on the Cargo Vest. I was not too happy about the fact that the bug vacuum made it even easier for the boys to bring creepy crawlies into the home, but I guess that is a chance you take when you have boys. The only negative I have about any of the items, was that it is a little difficult to get the bug vacuum pieces put back together once they are apart. The younger boys couldn't do it on their own and I had to help them, but the vacuum itself is an amazing product and I love that the boys could get an up close view of the bugs without having to touch them and take the chance of getting bitten or stung. Most of the products that you can purchase from Backyard Safari Outfitters come with a pop up field guide that is loaded with detailed information about different aspects of the great outdoors. They also include missions for your little explorer to complete. When the mission is complete, your little one can earn the badge that is included with the product and which can be added to their cargo vest as a badge of honor for completing another outdoor quest. This is a great program that really had my boys learning as well as playing outside instead of sitting in front of the television. If you are looking for affordable outdoor exploring toys that are of a great quality and safe for little ones to use, then I would highly recommend those made by Backyard Safari Outfitters. We already have plans to add to our collection of products and our next purchase will be the Bug Podz Habitat Construction Set.